The start of a new calendar year presents an opportunity to take a fresh look at our goals and intentions, with many of us crafting new resolutions for both our personal and professional lives. At the same time, most business officers are at the midpoint of their institution’s fiscal year and, like me, they are starting to consider what story their college or university’s operating results from the annual audited financial report will tell. In Washington, D.C., a few miles from where I serve at the University of Maryland, Baltimore County (UMBC), the 116th Congress is rolling up its sleeves for the work ahead. Freshman members are attempting to make their mark and get their issues on the congressional agenda; a similar scene is also playing out here in Maryland’s capital and in statehouses across the country. I had the opportunity last fall to participate in NACUBO’s annual Advocacy Day activities on Capitol Hill, where I met with members of Congress—and their staff—who are shaping policies that could have significant consequences for our students and institutions. I was struck by how deeply some of their ideas will impact business operations on our campuses; how concerned they are with the cost of college; and how much we, as business officers, need to proactively help policymakers—and the public—better understand the significant investment required to provide a quality college education. There is work to be done on reaffirming that a college education provides a lifetime value. I was also reminded that, while NACUBO staff play a large part in this conversation, what resonated the most with elected officials from Maryland were the stories from business officers who work at institutions throughout the state. NACUBO is our national representative body, but it also relies on us to travel to Washington, lean into tough questioning, and stand ready to communicate to a wider public. This year, as I review the charts and budgets that describe revenues and expenditures that are so vital to our stakeholders—which include the University System of Maryland Board of Trustees; state lawmakers; UMBC’s steering committee; the faculty, staff, and student senates; and other campus groups—I will also consider how I can better use this information to address the questions that I heard raised in Washington. Tools and resources developed by NACUBO, such as the Value of Higher Education toolkit or the recently updated Tax Primer: A Brief Introduction to Higher Education Tax Policy Issues, will help you participate in those discussions. For example, by using the primer, you can ask your campus government relations team if it is familiar with the tax issues that impact your institution. You can also ask other cabinet-level administrators how you can be a part of campuswide efforts to help explain college costs. Find out if campus leaders are using resources from the Value of Higher Education toolkit. Similarly, make sure that your business office is engaged in the conversation that your institution is having about the reauthorization of the Higher Education Act—several proposals in recent years would significantly impact students, federal financial aid, and campus business functions. I hope you will join me in taking the steps necessary to ensure that advocacy is part of your 2019 resolutions as a business officer. As you move forward, consider how we can make newly elected legislators champions for higher education, rather than detractors. In the new year, I look forward to making contributions that create a stronger and better public understanding of what it takes to support the invaluable teaching, learning, research, and service mission of higher education. RESOURCES The Value of Higher Education toolkit, Tax Primer: A Brief Introduction to Higher Education Tax Policy Issues, and resources related to the Higher Education Act are available on the NACUBO website. 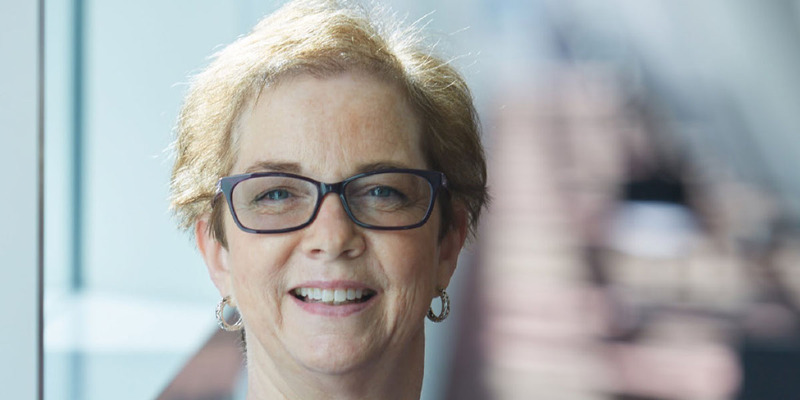 LYNNE SCHAEFER is vice president, administration and finance, University of Maryland, Baltimore County; and the 2018–19 chair of the NACUBO Board of Directors. NACUBO CONTACT Liz Clark, senior director of federal affairs, @lizclarknacubo. There is work to be done on reaffirming that a college education provides a lifetime value. Consider how we can make legislators champions for higher education.